SAN FRANCISCO. The Department of Defense (DoD) organization focused on accelerating commercial technologies to the U.S. military, Defense Innovation Unit Experimental (DIUx), is experimenting with Dedrone’s technology in assessing, measuring, and responding to adversarial unmanned aerial systems (UAS) threats as they relate to flight operations and base security within the United States. 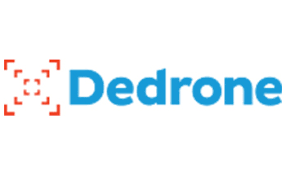 Dedrone provides a commercial, off-the-shelf UAS detection system for both militaries and companies. Their technology platform is designed for integration into passive sensors, including their radio frequency (RF) sensors, RF-100 and RF-300, as well as third party sensors including radar, cameras, and microphones. DroneTracker, Dedrone’s software platform, gathers intelligence from these sensors to detect drone activity and collect forensic evidence, including the communications protocol of the drone, its flight path and the location of the pilot. Once a drone is detected, a defeat countermeasure can be automatically deployed. DIUx is experimenting with Dedrone’s technology to provide situational awareness of drone activity over protected sites. Dedrone has worked with the DoD previously through a two-month airspace activity survey with Joint Base Myer-Henderson Hall (JBM-HH) in Washington, D.C. During this time, Dedrone and JBM-HH detected unauthorized drones infiltrating the airspace, despite the area being a no-fly zone.